The 2016 Honda Civic Coupe has quickly become one of the most desirable vehicles cruising the streets of College Place and Kennewick. It gets plenty of attention right off the bat for its eye-catching style and powerful engines, but goes on to engage drivers with an impressive collection of comfort and convenience features, plus incredibly high efficiency ratings for a model that’s so focused on performance. All in all, it’s an extraordinary entry into the 10th-generation of Civic vehicles. From their first glance at the softly swooping lines and muscular profile of the 2016 Honda Civic Coupe, it becomes clear to College Place and Kennewick drivers that this is a vehicle made to push boundaries. After pressing down on the gas and hearing the sound of up to 174 hp beneath the hood, there can be no doubt about its power, but most are surprised to find that it comes alongside stunning efficiency ratings. 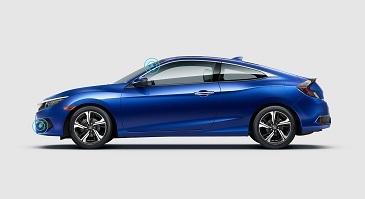 Honda have completely reinvented expectations for the Coupe by providing the Civic model with a sophisticated 2.0L 4-cylinder capable of up to 158 hp and 138 lb-ft of torque. That is an impressive output for a vehicle of this size, and it results in road-hugging responsiveness and an exhilarating drive. 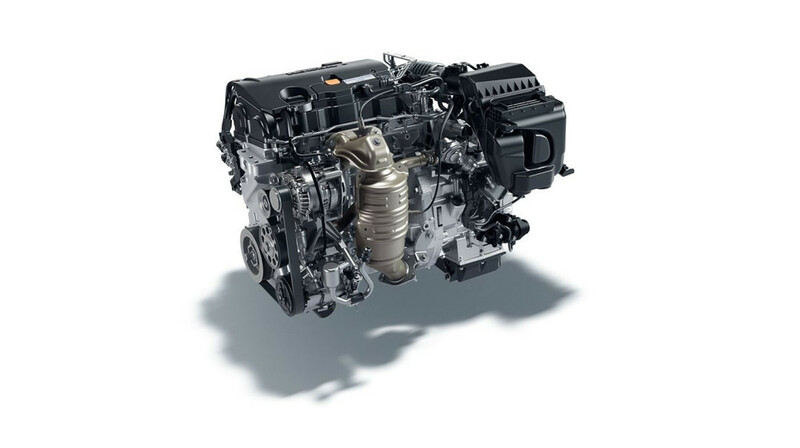 Drivers who demand something above the exceptional can satisfy themselves with the 1.5L turbo. 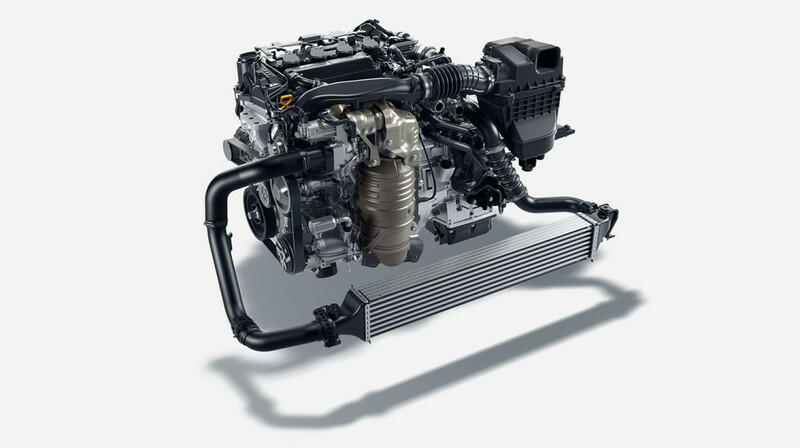 It puts you command up to an impressive 174 hp and 162 lb-ft of torque, but still manages to return incredibly high efficiency ratings, so drivers will be able to enjoy their ride without worrying about how much is left in the tank. The Civic Coupe comes with a 6-speed manual as standard. 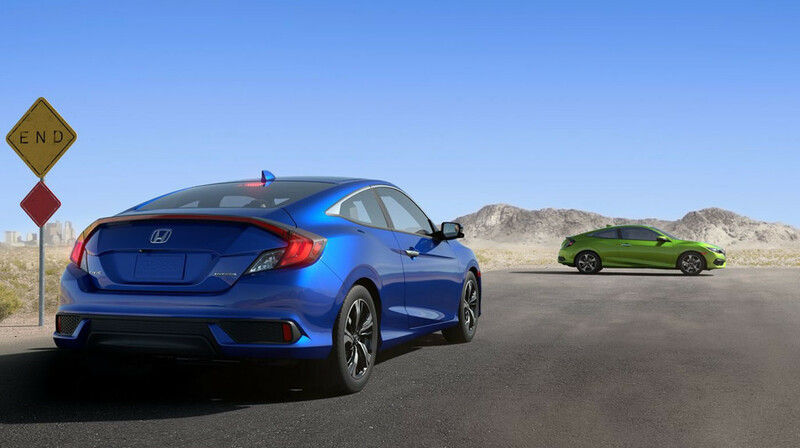 It can make lightning-quick shifts that cater to driving enthusiasts who want to exercise thorough control over their drive, and it returns an excellent 26 mpg in the city and 38 mpg on the highway* in the Civic Coupe LX. 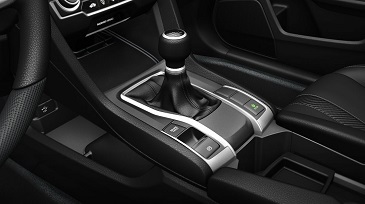 Uniting the efficiency of manual with the effortless convenience of automatic, CVT really is the best of both worlds. 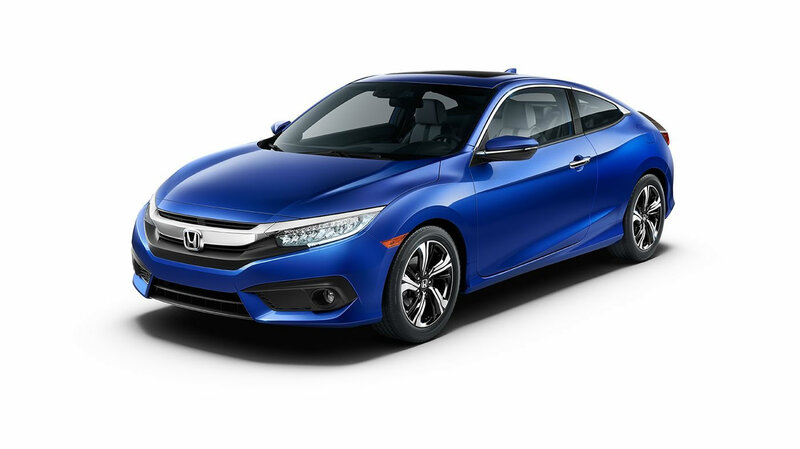 Maintaining an ideal blend of power and efficiency without requiring the driver to shift, it is able to achieve up to 31 mpg in the city and 41 on the highway* in Civic Coupe EX-T, EX-L, and Touring models. The 2016 Honda Civic Coupe can automatically tell whether you’re on a slope; when you are, the clutch will be held down until you hit the gas, thereby preventing you from rolling dangerously upwards or downwards. Essentially, the Civic Coupe stops you from having to perform a handbrake start. 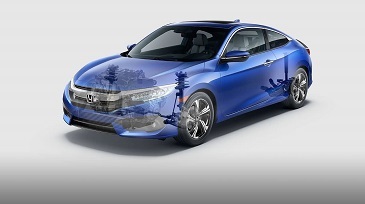 To complement the ferocious output of the engines, each and every trim level of the new Civic Coupe comes with a MacPherson strut front suspension and a Multi-Link rear suspension. This results in a smooth, controlled ride in a variety of conditions. 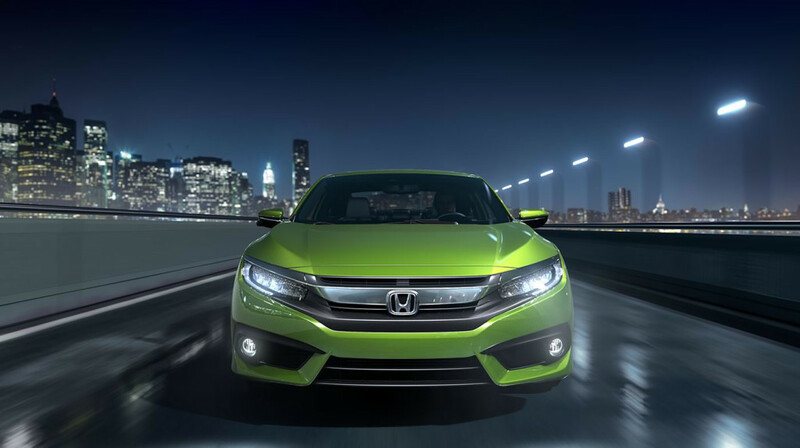 The 2016 Honda Civic Coupe boasts an impressive array of safety features, speaking to Honda’s decades-long commitment to keep drivers protected. The vehicle is able to improve your awareness of the surrounding road, warn you if an accident could occur, and ultimately keep you completely in control. Honda is known for crafting cars the go on to boast outstanding safety scores, and their ACE body structure is a big reason why. ACE stands for Advanced Compatibility Engineering, and it enables the Civic Coupe to crumple intelligently upon impact. This means that harmful collision-energy is directed away from you and your passengers. 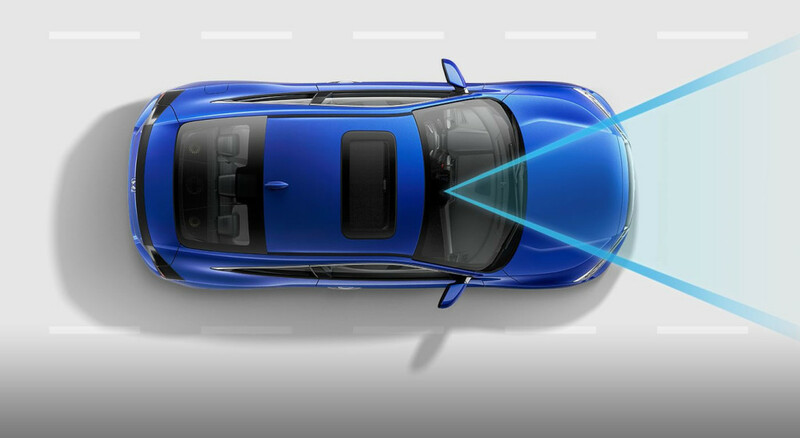 Adaptive Cruise Control with Low Speed Follow (LSF) automatically adjusted your cruising speed. A Collision Mitigation Braking System (CMBS) augments your awareness of the road ahead. A Lane Keeping Assist System (LKA) and Road Departure Mitigation (RDM) system help you remain on course. 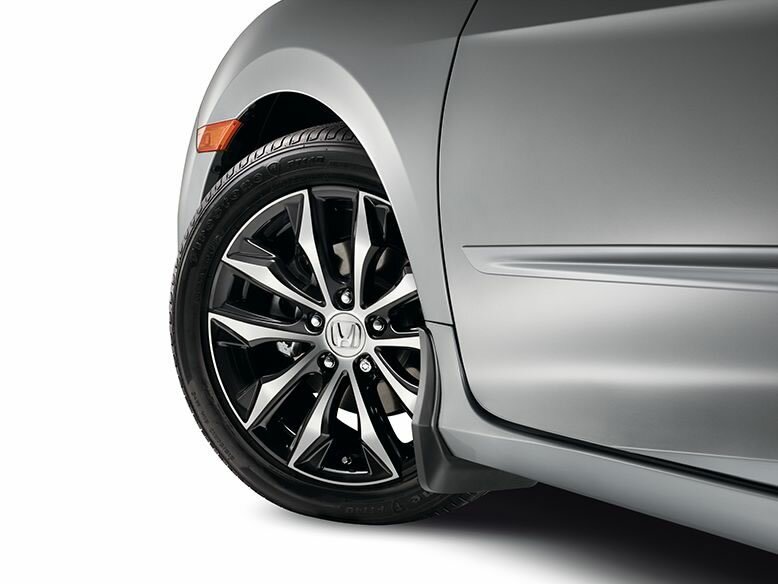 These high-end driver assistance features combine to create the peerless Honda Sensing Suite. Every trim level of the 2016 Honda Civic Coupe receives a Vehicle Stability Assist system with Traction Control as standard. It maintains a constant watch over your models performance; should you lose control for any reason, it will step in immediately to alter driving dynamics and get you safely back on course. Not many drivers enjoy having to uncomfortably crane their heads around in order to get an obstructed view of the area behind their vehicle. 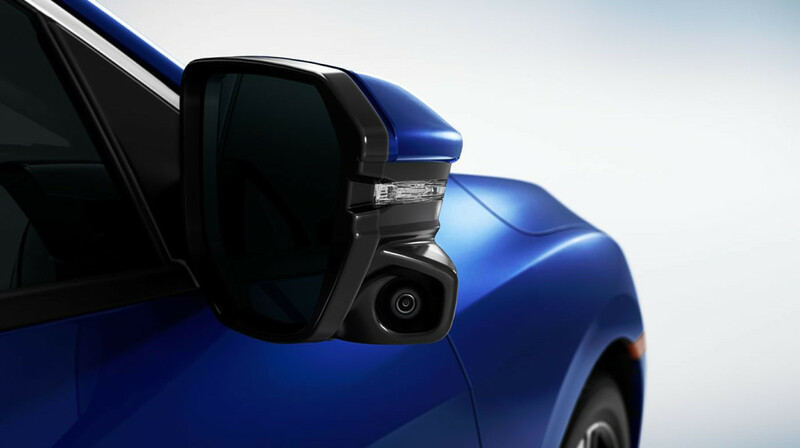 When you reverse in any Civic Coupe trim level, the rearview camera will automatically activate, playing one of three viewing modes (Normal, Wide, and Top-Down) to ensure that you can back-up with confidence into even the tightest space. This creative safety solution uses a small camera mounted beneath the passenger-side rear-view mirror to transmit a real-time video picture to your Display Audio screen. Instead of having to turn quickly for a fleeting glance of the lane you’re moving into, you’ll be able to use the video instead, which displays nearly four times more than the mirror alone. Recent research has demonstrated just how much Daytime Running Lights can keep drivers from harm, so they’re included as standard. Low-level lighting is one whenever you drive, which helps other vehicles distinguish you. Your improved visibility to other road-users means there is far less chance of an accident occurring. The team over at Honda has clearly concentrated on thrilling driving dynamics and top-of-the-range comfort, but they haven’t neglected to include a vast selection of standard and available features for College Place and Kennewick drivers to choose from. 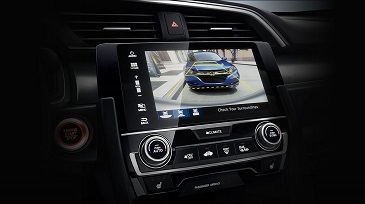 Whether you need to enhance entertainment, keep connected, or receive turn-by-turn directions to each destination, the 2016 Honda Civic Coupe can lend a helping hand. 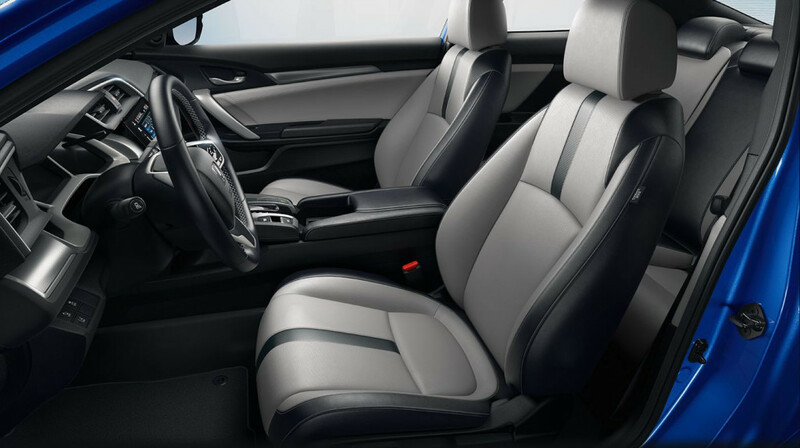 Honda are able to provide the 2016 Honda Civic Coupe with dual-zone climate control, so both you and your front passenger will be able to exercise control over their own comfort zones with individual automatic temperature settings. For individualized comfort and relaxation, this feature knocks it out of the park. True audiophiles place exceptional demands on in-vehicle sound systems, and the Civic Coupe is one of the few vehicles to genuinely meet those expectations. With his available system, you’ll enjoy crystal-clear sound from ten powerful speakers, providing an immersive listening experience to separate drivers from the humdrum world out their vehicles. Whether you’re enjoying the soundtrack provided by all ten speakers or taking an important call using the standard hands-free phone system, raised engine noise can be a real pain — or it can be in can in other vehicles. Each Civic Coupe comes with speed-sensitive volume control; when engine noise increased, the volume is altered accordingly. Modern College Place and Kennewick drivers need to stay connected, whether for business, speaking to friends, or keeping track with the whole family. 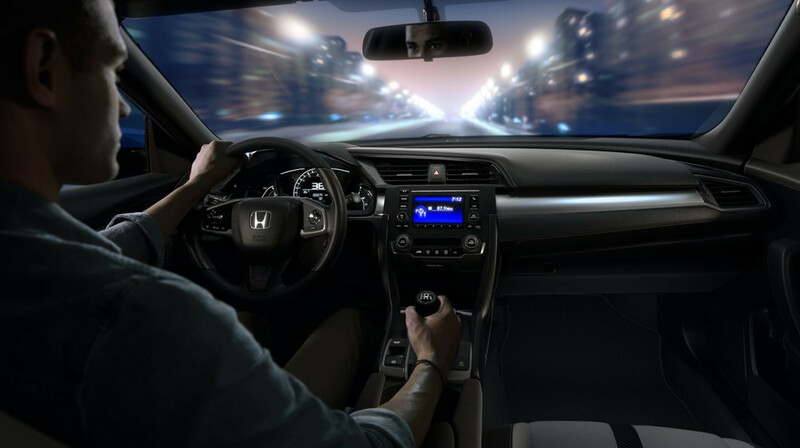 That’s why the Civic Coupe comes standard with a Bluetooth HandsFreeLink system — there’s even a streaming audio function to let drivers enjoy the music they love at the moment they choose. This Garmin-powered features makes wrong turns and missed exits a thing of the past. Using state-of-the-art graphics to provide 3D mapping and lane guidance, and offering both HD digital traffic and predictive local search as standard, it can guide you where you need to go, predict your needs, and allow you to see — and avoid — places where heavy traffic is concentrated. 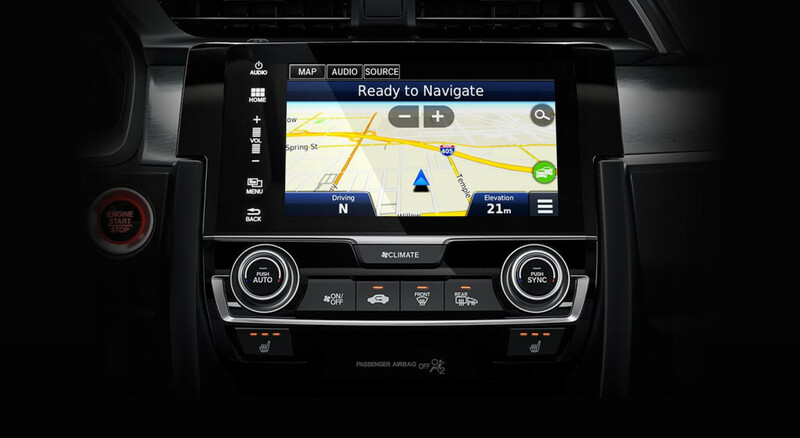 These pieces of software are the latest in automotive connectivity. 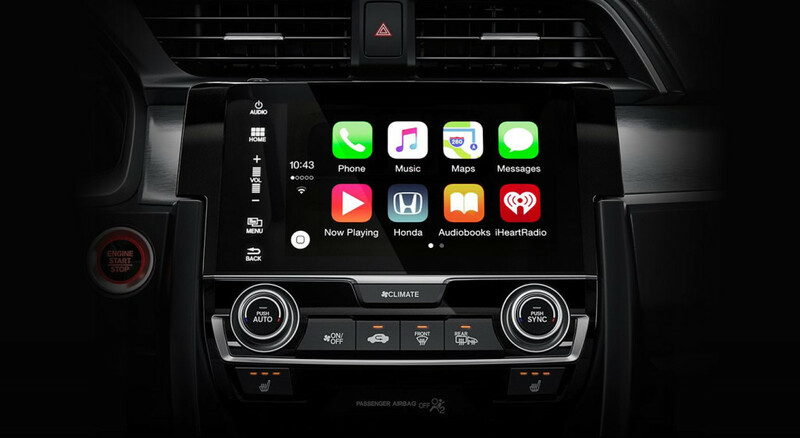 You’ll be able to sync smartphone to the vehicle for more than just calls — you’ll also be able to stream music and use a growing selection of apps right on the Civic Coupe’s cutting-edge touchscreen. Honda has done an excellent job of outfitting the 2016 Civic Coupe with a diverse selection of standard and available features, but some drivers will have special needs that aren’t quite catered to by the general systems of modern vehicles. Luckily, the Civic Coupe has been made available with a long list of accessories, so you’ll be able to completely optimize your model to meet your requirements. Driving during the night will often mean being hit in the eyes with the glare of headlights approaching from the rear. That breaks your concentration on the road ahead, plus it’s extremely uncomfortable. 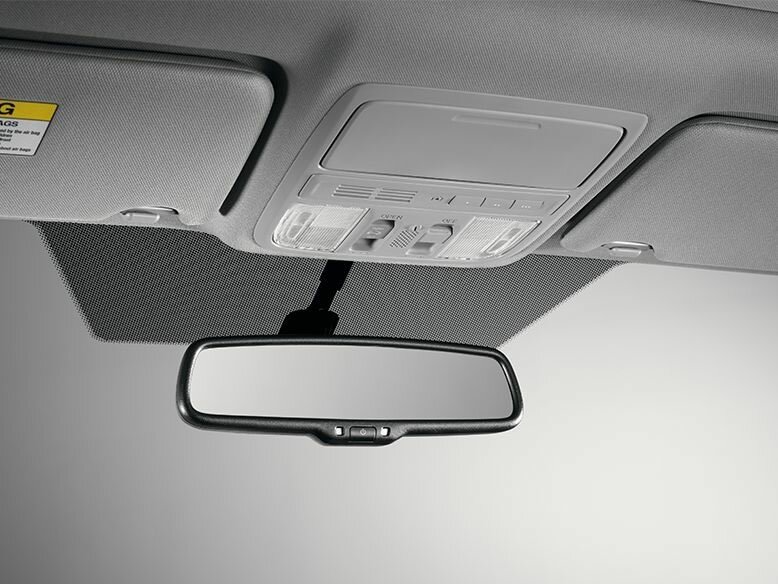 If you do frequently drive in the dark, try adding the automatic-dimming mirror, which is able to adjust its tint to keep that glare from striking your face. Hate hearing the items in your cargo area toppling over when you make a turn? 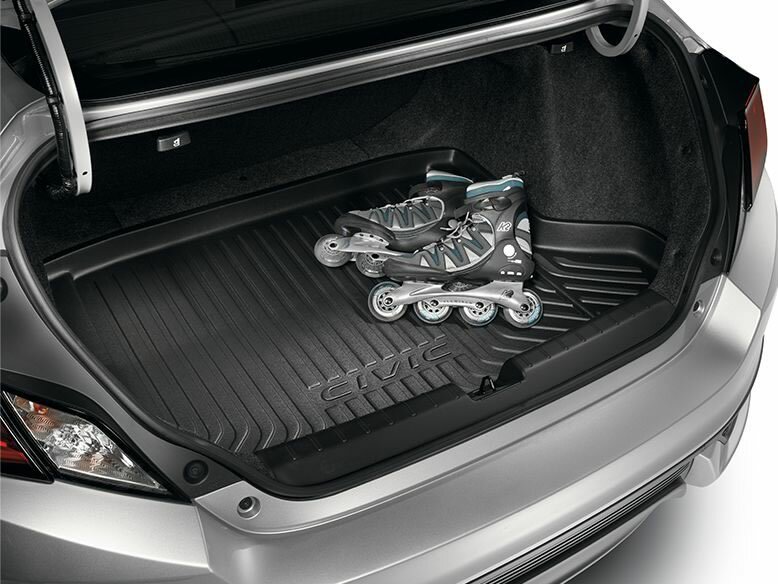 The trunk tray prevents that from happening since its textured surface is able to keep a firm hold on all items. Best of all, it has been made from high-quality molded plastic that can be quickly cleaned with soap and water if anything spills on it. The Civic Coupe has been styled to project the appearance of spirited performance and sharp handling. Adding the wing spoiler will further increase your aerodynamic profile, all while bestowing a personalized edge to your model. 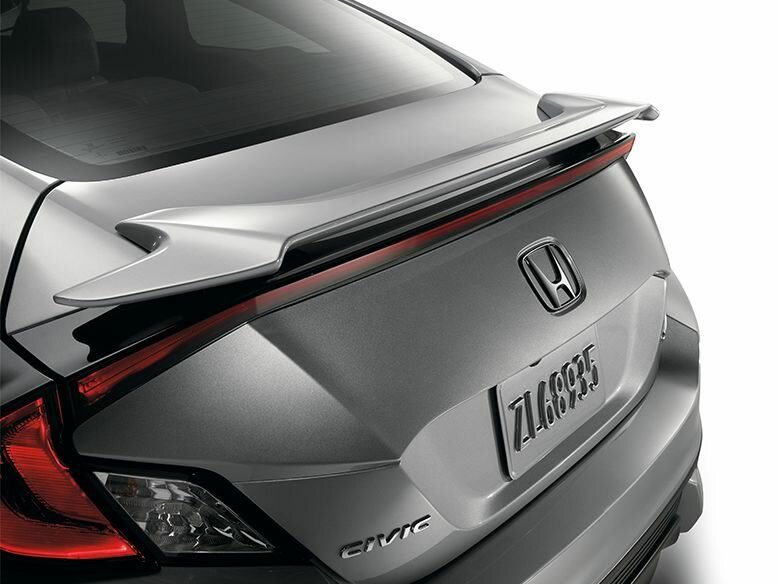 Unlike cheaper aftermarket parts, each of Honda’s wing spoilers comes color-matched to original factory specifications, with heavy springs used to ensure that the trunk lid stays up when opened. 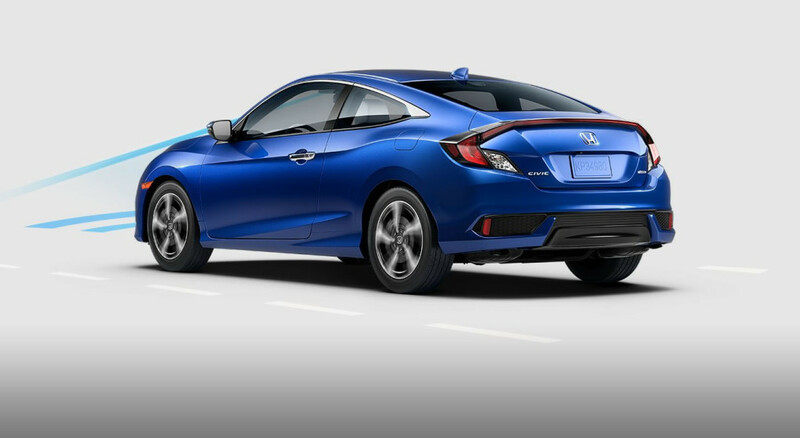 Splash guards help prevent mud and water from spraying up at the underside of your vehicle, so installing them can keep your Civic Coupe dazzling in all types of weather. They’re even installed using an innovative no-drill method, and they’re both highly durable and reliable. 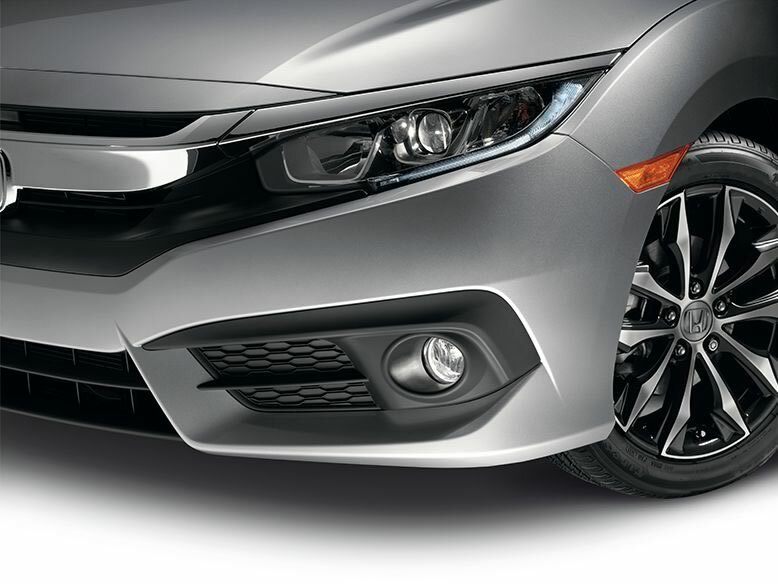 Honda’s top-of-the-line fog lights use precision optics to provide a highly-controlled light pattern that’s able to cut efficiently through adverse weather conditions, including fog, rain, and snow. 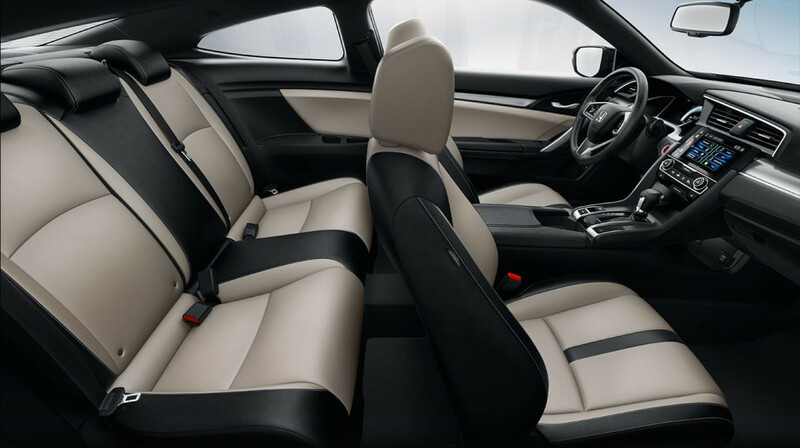 If you’re likely to find yourself facing such conditions, having them added to your 2016 Civic Coupe is a good idea. 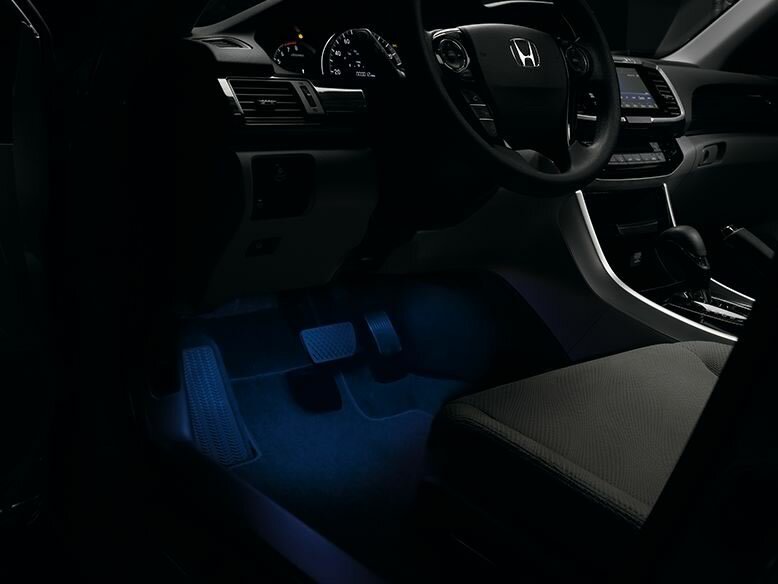 Soft blue LEDs installed within the front foot wells or along the console provide ambient illumination. They will turn on automatically whenever you switch the exterior lights on, providing subtle interior illumination to improve the appearance of your cabin and help you keep track of everything when it gets dark outside.